Marinades are seasonal liquid mixtures that add flavor, and in some cases, help tenderize beef. 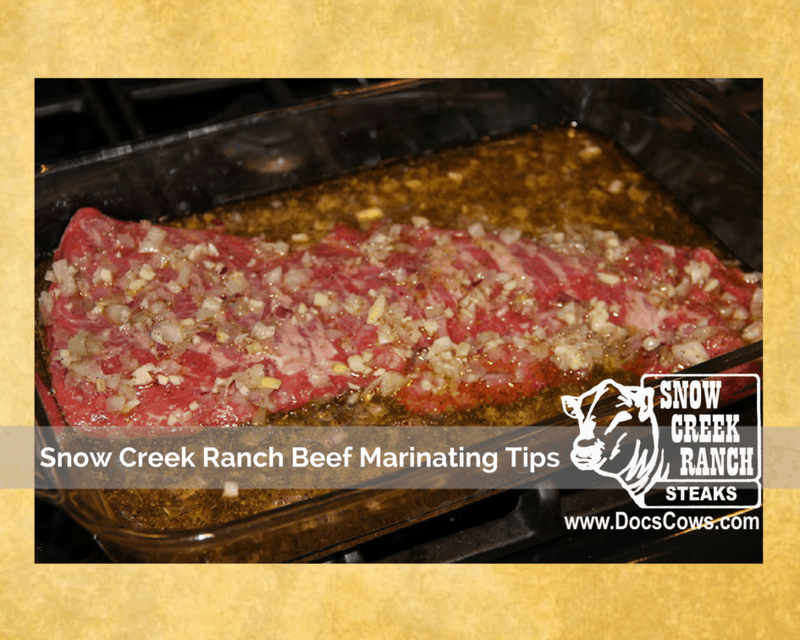 A tenderizing marinade must contain an acidic ingredient such as lemon juice, yogurt, wine, or vinegar. 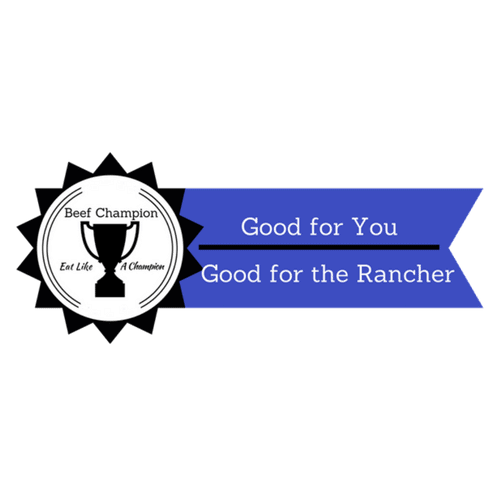 Less tender cuts of beef should be marinated to enhance tenderness. 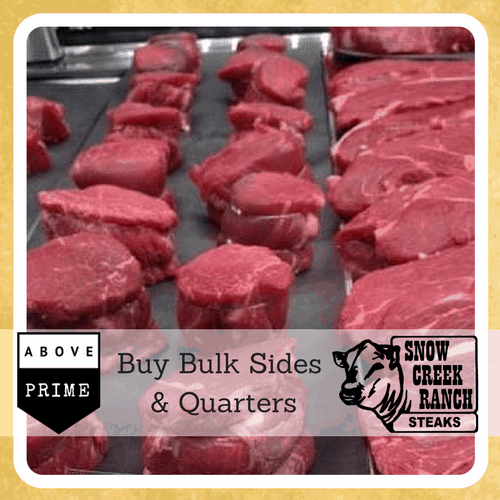 These cuts include: top round steak, eye round steak, chuck shoulder steak, skirt steak, and flank steak. Tender cuts of beef can be marinated for flavor. Or Call 844-34-ANGUS (844-342-6487) X503. Use a moist cooking method (braising or cooking in liquid). 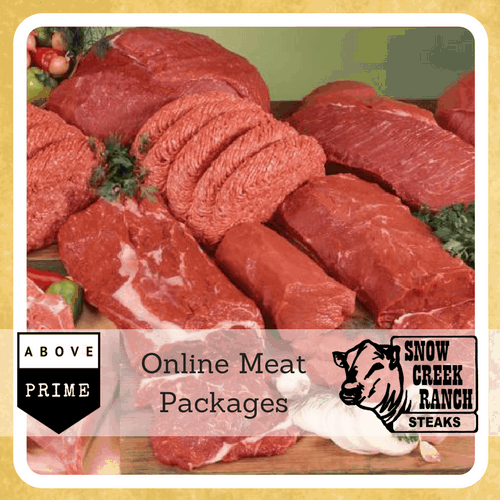 Cuts from the Loin are lean cuts of beef, yet they are very tender. Marinating these cuts is for flavor enhancement, not for tenderization. 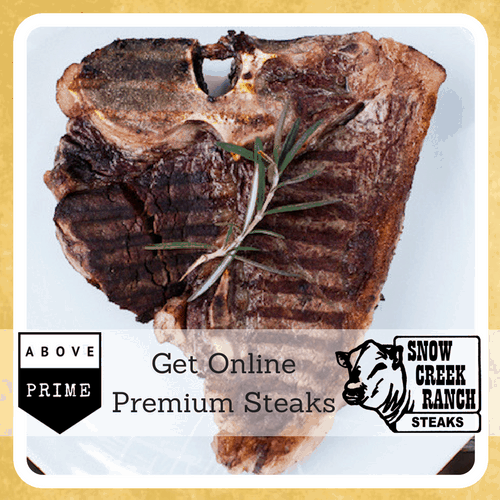 Typically this is not necessary for Snow Creek Ranch beef. 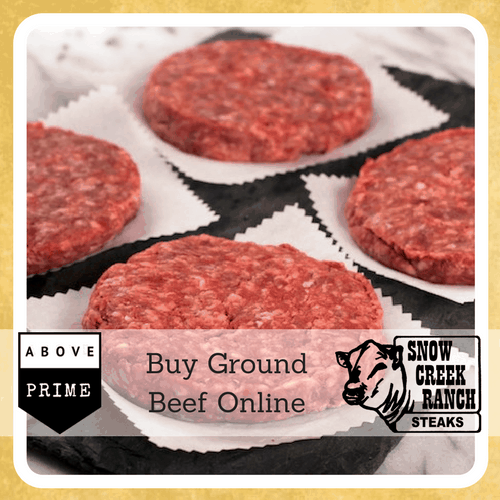 To visit the farm, order beef, or to submit a recipe email travitt@docscows.com.